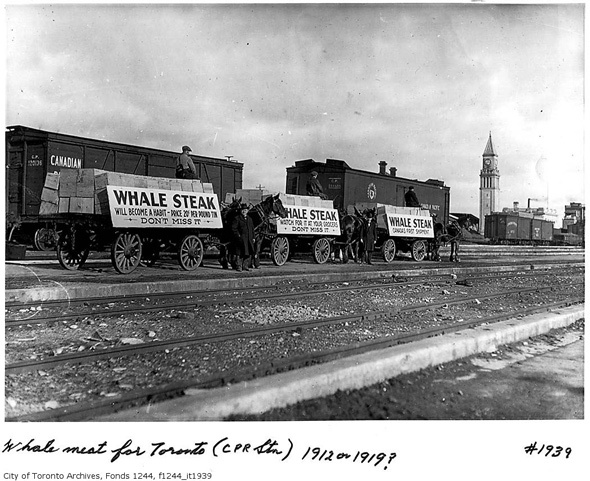 I had thought about calling this post a visual history of meat in Toronto, but something about that title just didn't sound that appetizing, even though I've been known to enjoy the occasional steak or two. 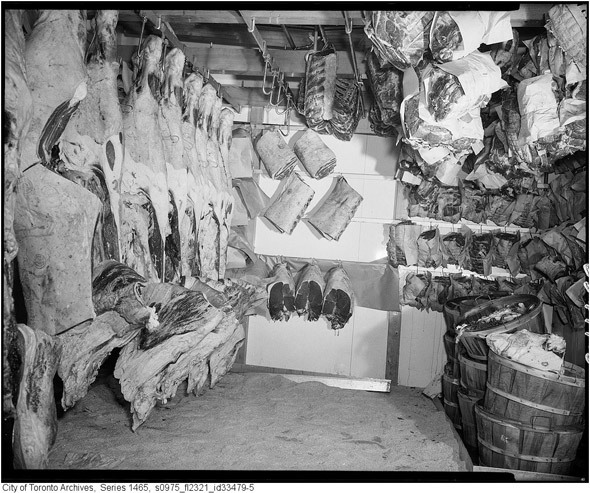 Still, the collection below is about a bit more than straight-up butcher shops in that I've tried to track some of the trends that have informed the way that meat has been packaged and sold over the years in this city, from the William Davies chain of stores to the foundation of the municipal abattoir to the rise of the grocery store chain. 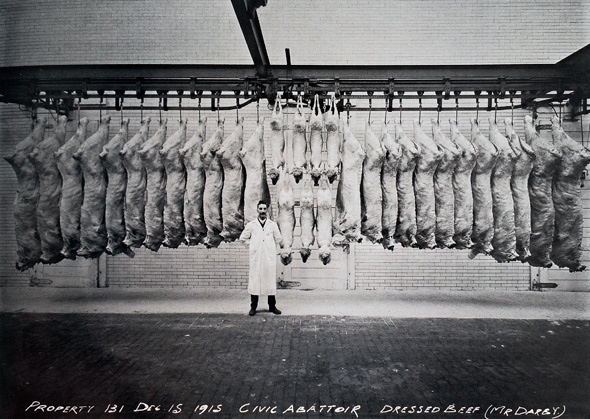 Like most of these posts, the narrative I've cobbled together with these photos has plenty of gaps, but I would hope, more than anything, that it underscores just how differently the sale of meat is handled nowadays â for better or for worse. 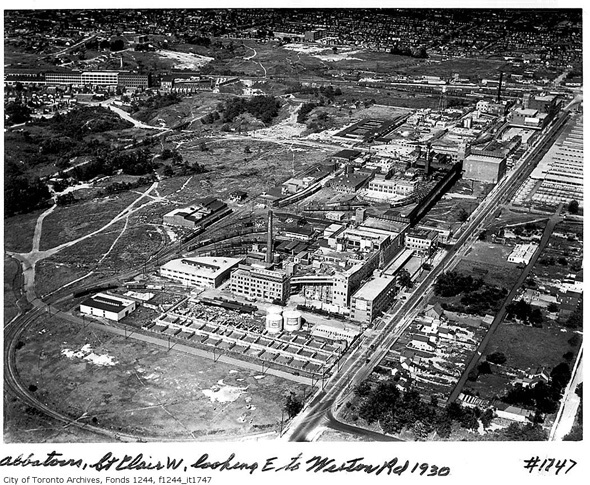 As I've said before, one of the things that happens when you dig around in the Archives enough is that you discover photos that you were never looking for in the first place. 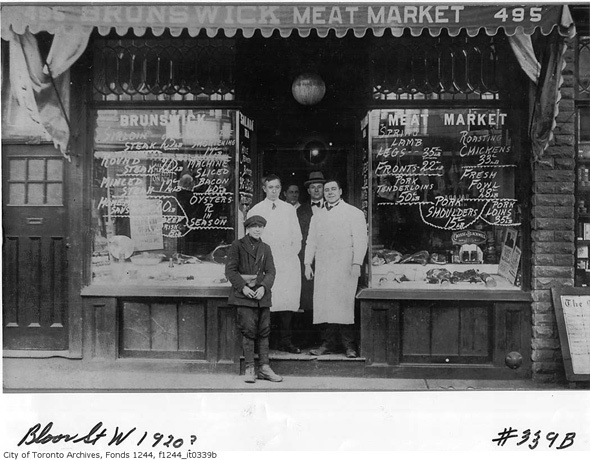 For whatever reason, there's a pretty good collection of images devoted to meat packing and butcher shops that have been digitized. 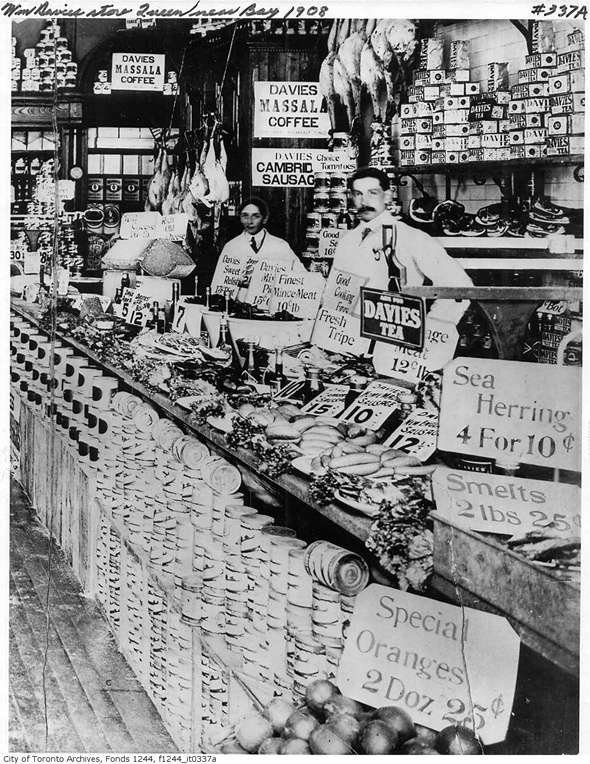 It's difficult to choose which strand of the history below is the most interesting. 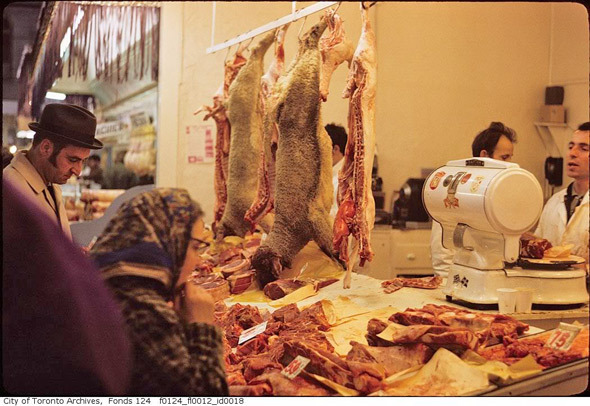 Although the Ellis Wiley photos of the St. Lawrence Market in the 1970s are probably the most visually stimulating (and in some cases shocking), the story of the William Davies Company is a crucial bit of Toronto history â in fact, Davies pork packing operation is often cited as the source the city's oft-used nickname, "Hogtown," which has somehow managed to stick to this day. 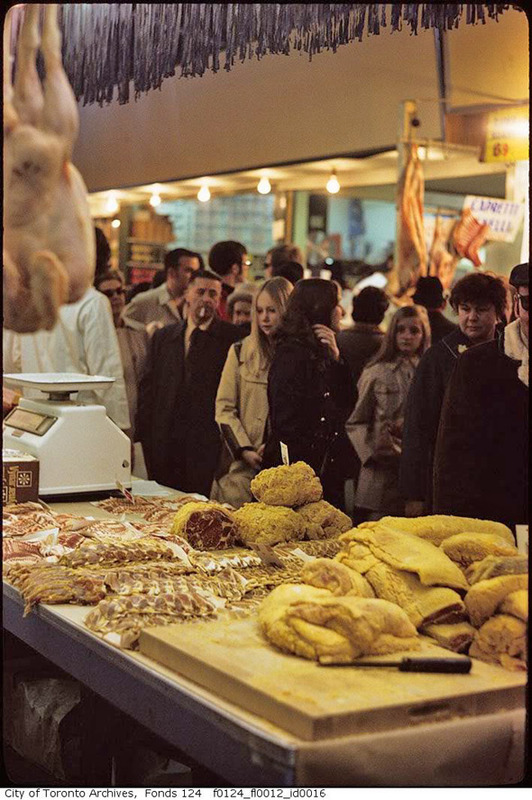 As part of his massive hog operation, Davies also brought peameal bacon to the city, which he originally sold at his stall at the St. Lawrence Market. 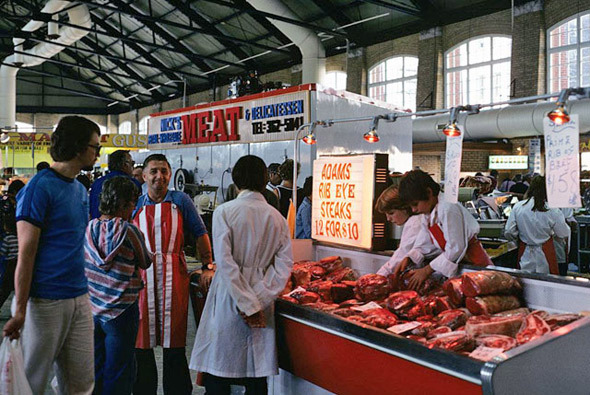 It's been a hit ever since. 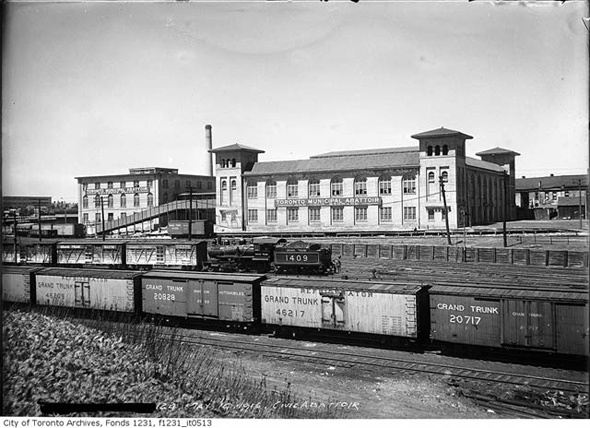 The Davies Company eventually merged with two other prominent packers in 1927, Harris Abattoir Co. and Gunns Limited, to form Canada Packers, which itself later merged with a division of Maple Leaf Foods in 1991. 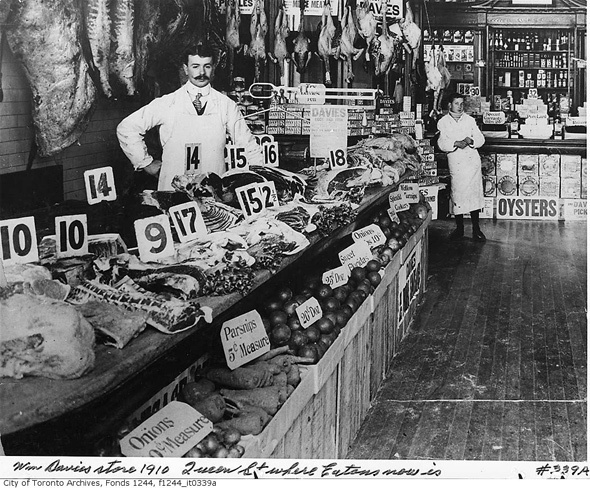 So there's a lot of history that runs through that bologna you bought at the deli the other day. 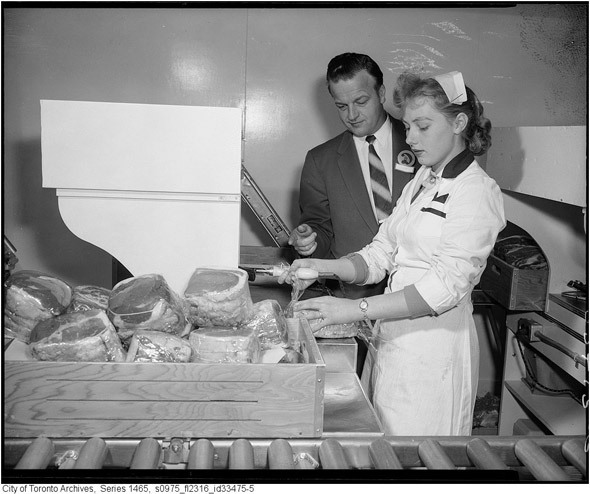 Meat-packing was a huge industry in Toronto prior to the rise of boxed meat distribution and the consolidation of the various packers throughout the 1950s and 60s (both in Canada and the U.S.). 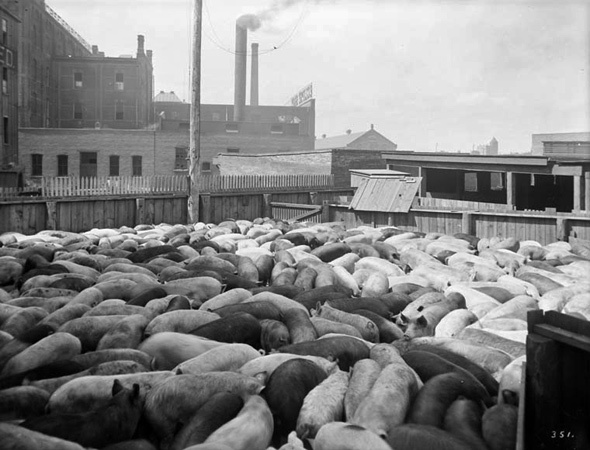 We even had our own civic abattoir, which was formed in 1911 due to concerns about health and safety related to the almost 30 packing operations that dotted the downtown core and the city's west end. 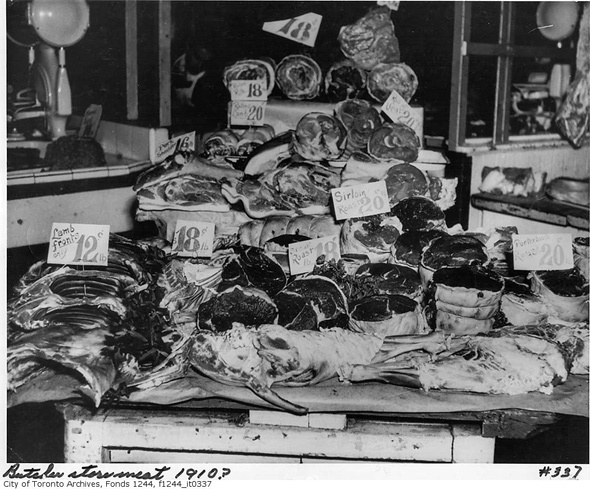 By the late 1950s the chain grocery store has started to take hold and local butcher shops decreased in number. 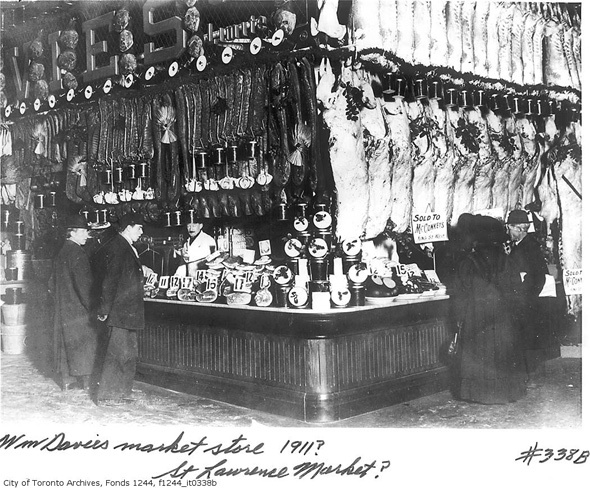 As a couple of the photos below show, there was still a fair amount of "butchering" that went on in these stores at the time, but much of that has given way over the years as well. 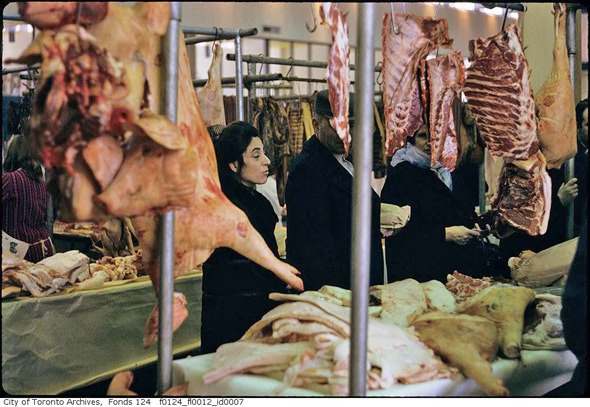 Now most meat departments and many meat shops receive pre-boxed meat, which leaves the butcher with the task of portioning out the meat (though there are, of course, exceptions). 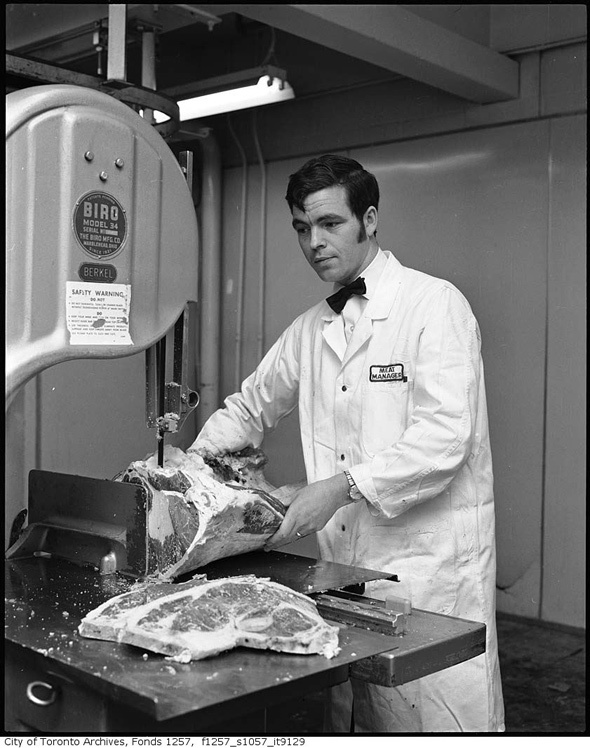 That's a far cry from the more market-oriented meat culture that one saw prior to the 1960/70s.